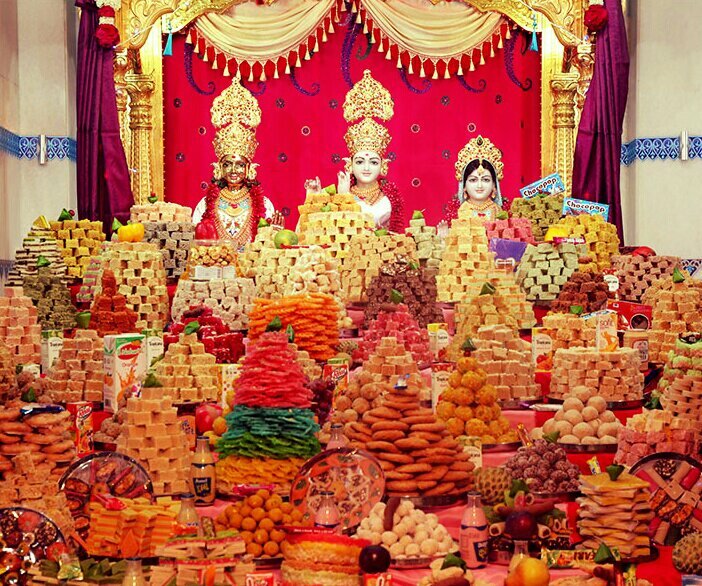 Annakut Food Ceremony to see in the Hindu New Year! 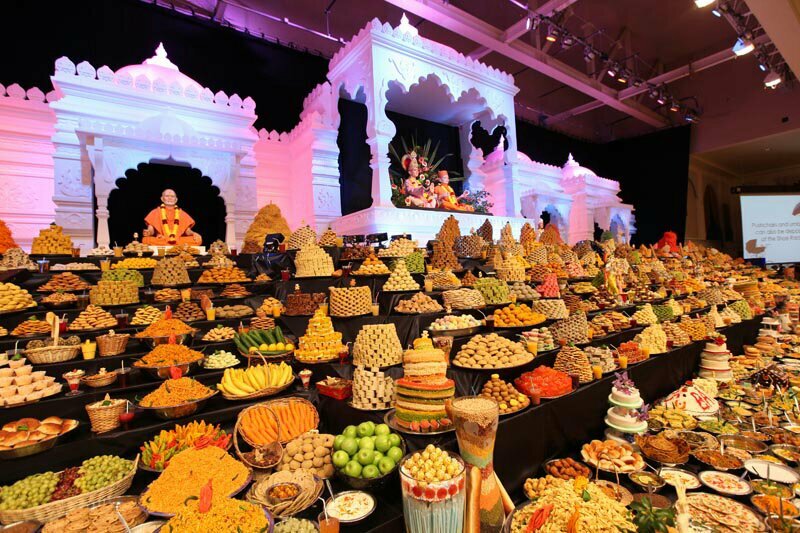 Hindus offer hundreds of different vegetarian food items to thank God for his providence over the past year and to seek blessings for the year ahead. This is in continuation of when Lord Krishna urged the people of Gokul to offer thanksgiving to nature (in the form of Mount Govardhan) for all its gracious bounty. That is why you shall see that the food dishes are set up in a mountain arrangement to represent the story of Mount Govardhan. This would definitely be an absolutely fantastic site for anyone but for a food blogger or writer and especially a vegetarian one OMG! they would be in their own foodie heaven. From sweet to savoury treats to main components of a meal and all eggless, onion and garlic less! I thought I would share some pictures to take you all to this wonderful ceremony that is celebrated around the world in thousands of temples and in Hindu homes. WOW! Thank you for sharing this! It’s absolutely stunning. As soon as I saw these pictures I thought, the whole world needs to see this! 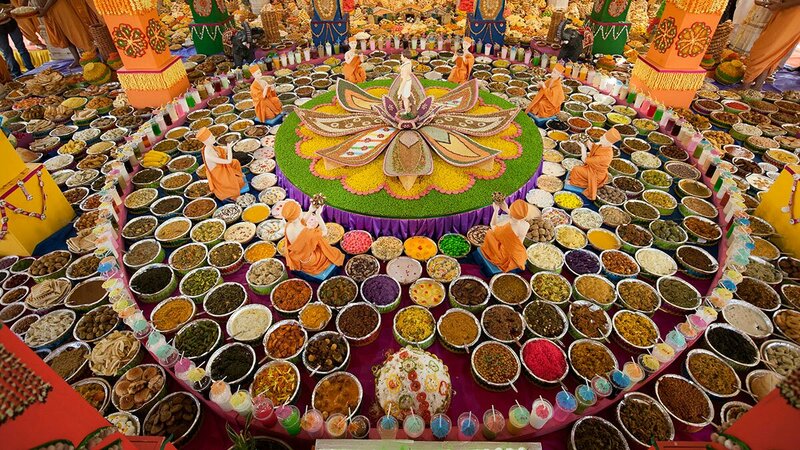 All of those colors, spices, foods. Have a happy and healthy new year and keep on cooking delicious recipes. Oh yeah! 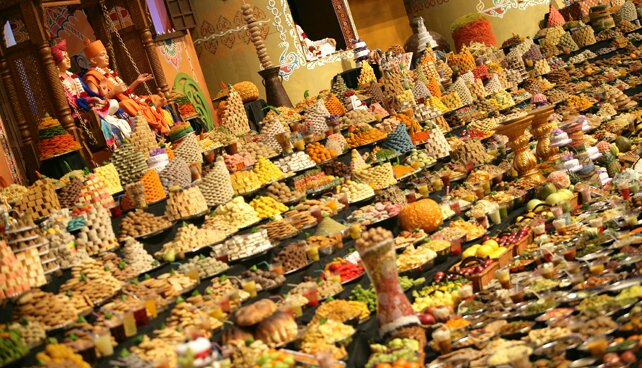 Very beautiful, and to see all the food accumulated is such a blessing for all! Beautiful pictures of such a wonderful celebration! Wow, Dimple! I have never seen anything like this! How festive and how delicious festive! Happy Hindu New Year!!! Oh wow! 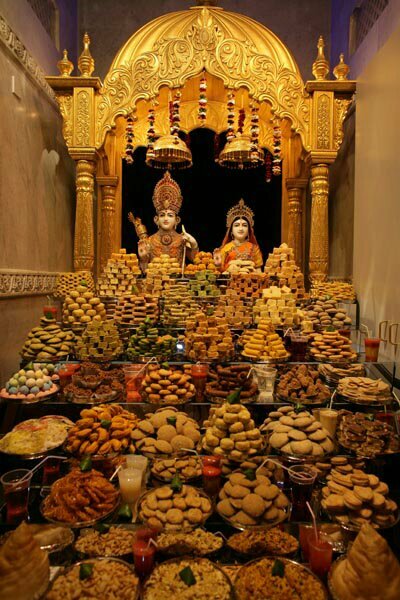 Wish I could be there, surrounded by all those goodies! Happy New Year!